Cellulitis is a bacterial infection of the skin involving the tissue of the deeper layer of the skin both the dermis and subcutaneous tissue. It is a common infection that can be potentially serious as the infection can spread and invade the lymph nodes and enter the bloodstream however, cellulitis is an infection considered to be non-purulent or one that does not form an abscess. Cellulitis often appears in areas with broken skin such as those that created by skin ulcer or wounds from surgical incision. Cellulitis is apparently an unreported disease that its prevalence remains vague although it is somewhat a common infection that can happen to anybody. No racial and ethnic group predilection or gender has been reported with the epidemiology of cellulitis although it has been seen to commonly affect adults over the age of 50 years old especially with facial cellulitis while children below the age of 3 years old are commonly affected with perianal cellulitis. The development of cellulitis in elderly however, has made them predisposed for developing thrombophlebitis. Cellulitis on the other hand can be potentially life-threatening when the infection continues to spread and affect the lymphatic and circulatory system. Cellulitis is characterized with skin swelling and redness of skin of the affected area while the skin may feel hot and tender to touch. It initially starts with tenderness, redness and swelling of the skin on the affected area and spread to adjacent area of the skin. 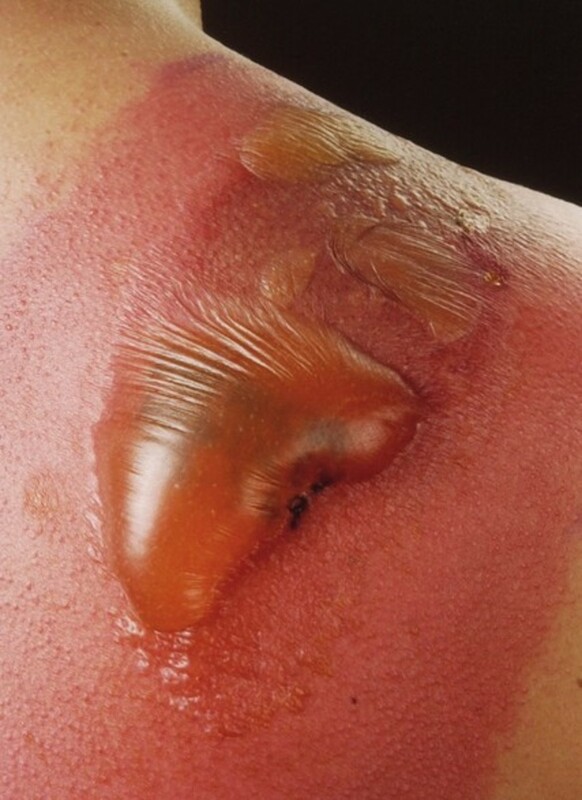 The reddened area of the skin will expand overtime while small red spot may also develop over the redness and which may form blisters that burst in time. Fever may develop while the skin redness gradually increases its size and the enlargement and fever may also be associated with chills, sweating and palpable swollen lymph nodes adjacent to the areas of infection. Cellulitis on the other hand has different types named according to the areas of infection while each has different presentation from another although there may be some similarity. Palpable swollen lymph nodes adjacent to affected skin. Skin of the face may feel tight and warm to touch. 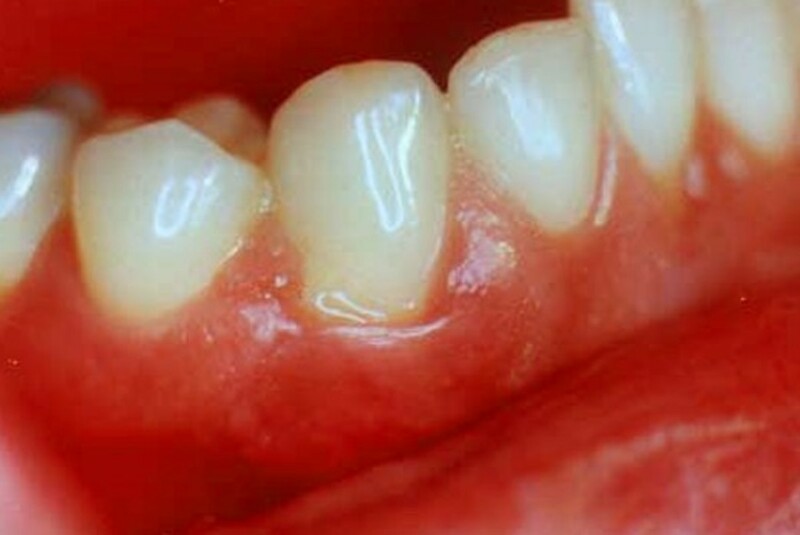 Development of erysipelas lesion over the bridge of the nose and the cheeks. 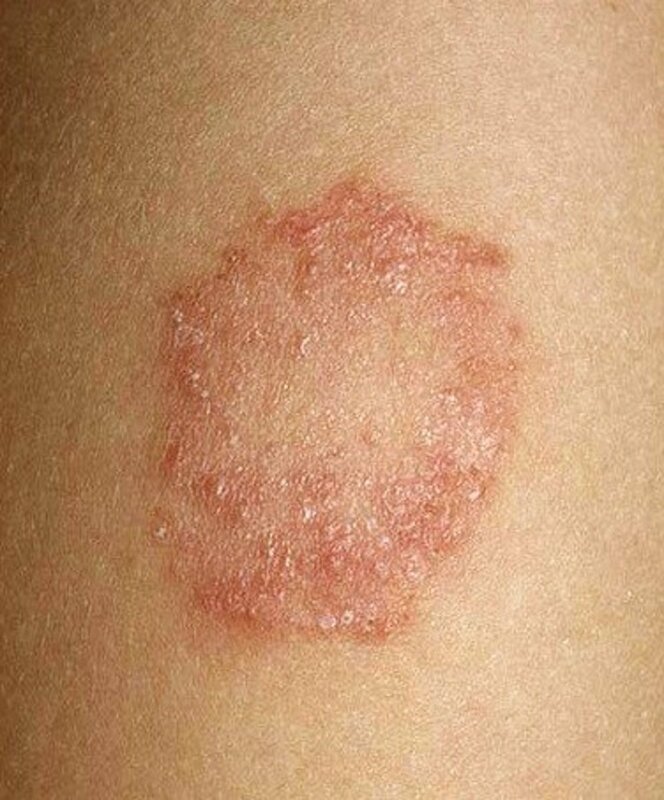 There are numerous bacteria that can cause cellulitis although majority of cases is often an infection from Staphylococcus aureus or Streptococcus pyogenes. Staphylococcus aureus including the methicillin resistant strains which is potentially dangerous due to its property of resistance to antibiotic and methicillin treatment. Beta-hemolytic streptococci are the most common bacteria that cause cellulitis. Haemophilus influenza commonly infects children below the age of 3 years old and commonly occur in the face, arms and upper torso. Clostridium perfringens causes bacteria to produce gas when infection spreads in the muscle. Pasteurella multocida is a bacterial infection from the bite of cat or dog. Aeromonas hydrophilia is bacteria acquired from injury in freshwater. Vibrio vulnificus is bacterial infection from exposure to saltwater and is potentially life-threatening to patient suffering from certain type of chronic liver disease. Occupational exposure such as farmers, gardeners and fish handlers. Cellulitis can be treated as out-patient although severe cases require hospitalization although the infection is generally treatable and without result of lasting disability. 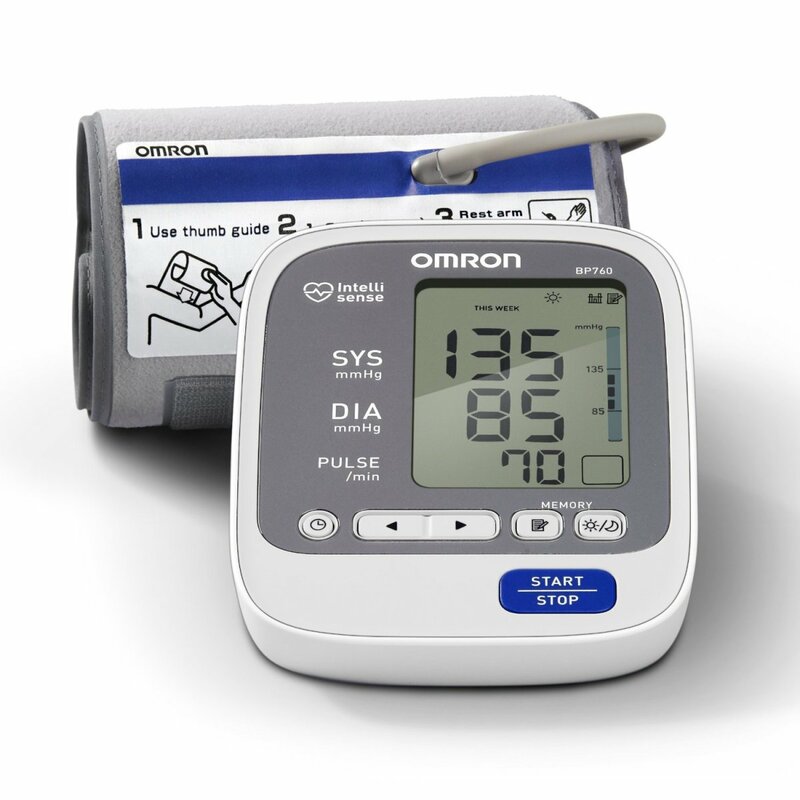 It is usually treated with prescription of oral antibiotics depending on the type of bacterial infection while others may require intravenous antibiotics especially when the patient is not responding to oral medication which condition usually progresses after three days from initial treatment. 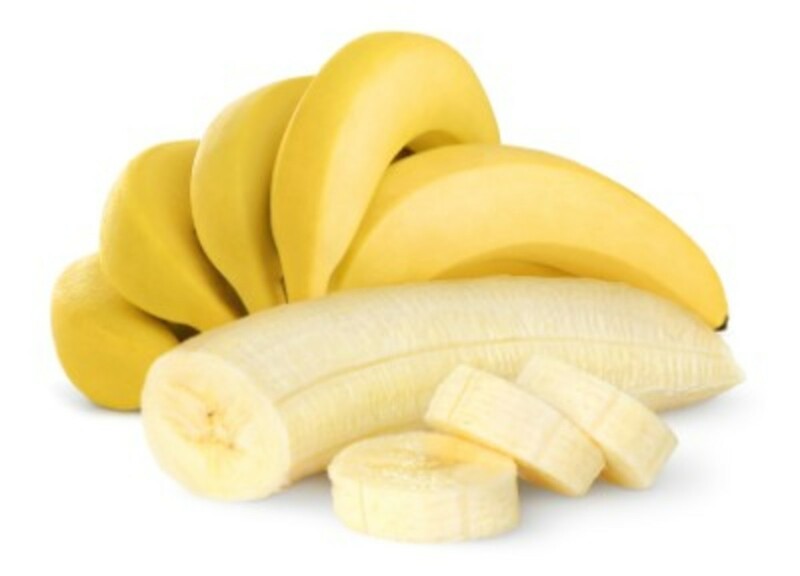 The goal of treatment on the other hand is in reducing the severity of infection and to relieve the symptoms while speeding up recovery and skin healing and in prevention of recurrence. Surgical intervention is not an immediate recommendation except when there is already a formation of abscess or pus in the tissue and drainage is the option to allow relief of pain while removal of dead tissue is necessary to allow skin healing. Pain relievers which can be bought over-the counter. 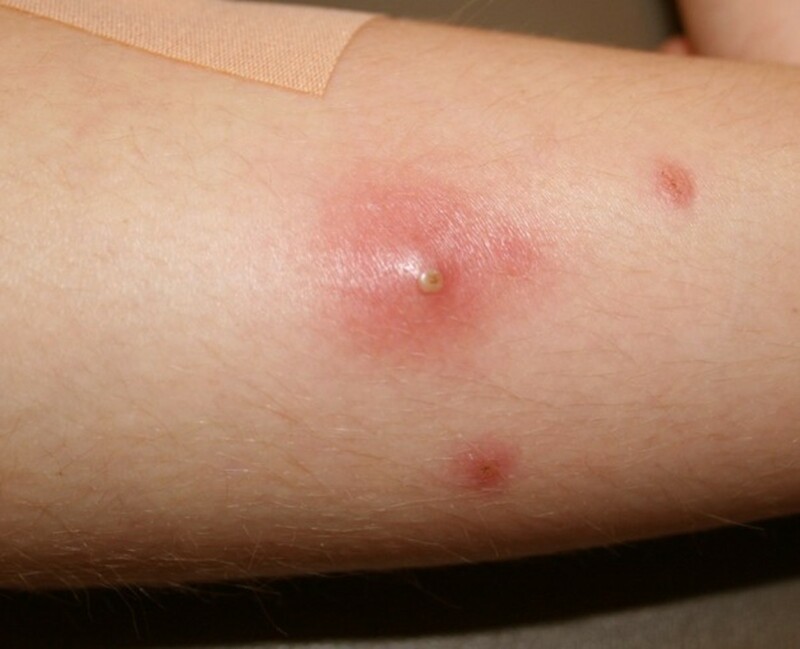 Cellulitis is generally not a contagious disease as the invasion or infection of bacteria is mainly in the deeper layers of the skin such as that of the dermis and subcutaneous tissue. 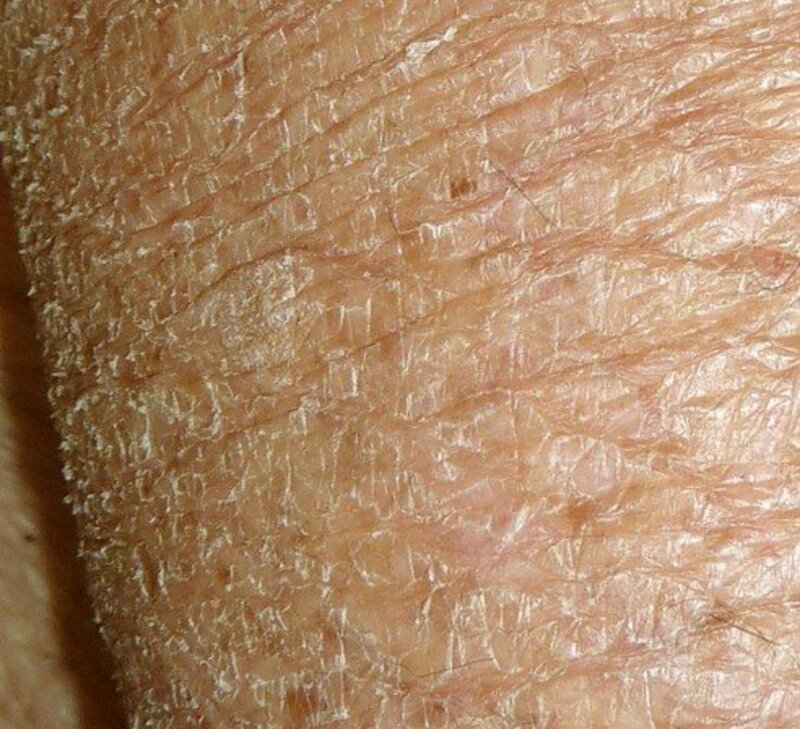 The top layer of the skin or the epidermis is not included in the infection and it provides protection while enveloping the infection and therefore cannot be transmitted from one person to another. Meningitis is potentially at risk in facial cellulitis especially when the infection has spread to the membranes or meninges of the brain. 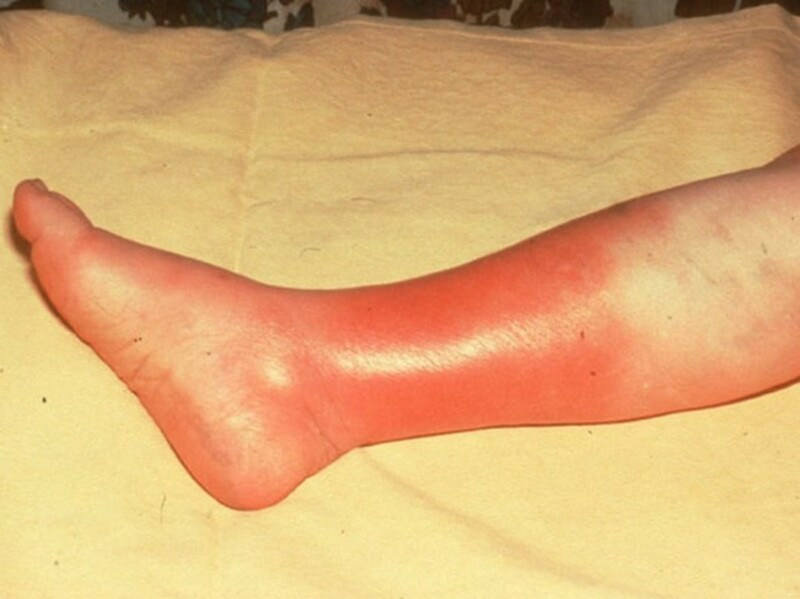 Blood poisoning secondary to cellulitis is potential when bacterial infection has reached the bloodstream. Abscess or the collection of pus from cellulitis is the result of bacterial buildup or buildup from dead white blood cells. Thrombophlebitis occurs when cellulitis has disrupted blood circulation which can lead to blood clots. My mother has cellulitis on her legs from bring sedentary... her legs looked all blistered and scabby. I have tried a lot of other products, but nothing worked as well as the Made from Earth Pure Aloe Skin Treatment. Within three days her legs were definitely much better, and after a week of using this just once a day, the problem is almost gone.